Will Maduro close the border with Colombia? The Venezuelan President Nicolas Maduro will close country's border with Brazil because of tensions over foreign aid delivery. He also considers closing the border with Colombia. In his speech on Thursday he announced the closure of Brazil border and also warned against tries to bring humanitarian aid into the country by force. "I don't want to make such a decision, but I am considering it -- an absolute closure of the border with Colombia," he said. "We have taken all the measures so that everything can be peaceful," he added. 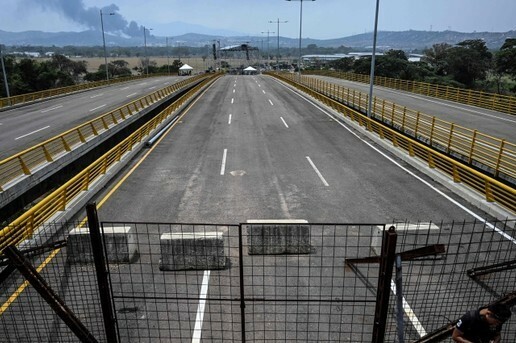 Self-declared president Juan Guaido has declared Saturday as the deadline for the aid to cross the border.